SEO or Search Engine Optimization is a technique used to gain more visitors to a website by improving ranking in organic search. Nowadays, even a random guy would Google to search for shoes or watch, so how much more a businessman who’s interested to find product and services in fit of his requirements? Search engines have been everyone’s buddy. Now that Google has more complicated algorithms, it has become so reliable and user friendly for searchers. Genius marketers had already made their names available in Google pages just before anyone think about search marketing. So when prospect types, their company page starts to roll down on the first page. Then prospect clicks and sees that they offer good products and services. There’s a big logo of their telephone number, a very alluring CTA and the most vital part of a website, the contact us form, where prospect fills his name and his interest about your business. How about that? You’ll be getting customers by just sitting back and waiting. Of course, SEO is not done in a wave of the wand but I’ll tackle a lot more of that on the next post. When you have a website and a blog, it’s good that you share those to social media and other mediums like bookmarking sites and curation. This will increase the chances of your website to get discovered. It’s the cheapest type of marketing. People come to your website, so basically they have a need. The interest is already build and you don’t need more time on pursuing on those client. Warm and interested leads are more likely to convert than those who are only convinced by promotions. Traditional methods like flyers, brochure, tv ads are quite obsolete now. Mobile and computers are the next big thing so its good that you place yourself where your prospects are. While your competitors are not still aware of SEO, time for you to take advantage. Let the website do the legwork. You don’t need to be around to make sure your products are well marketed. Just keep a good website with strategized placement of widgets and buttons and a working contact us form or a livechat, it will do its job to keep your customers listed in your database. 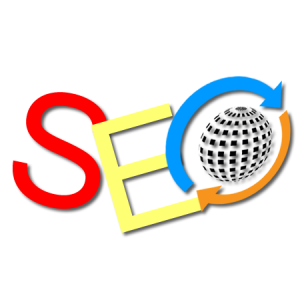 Outsource your Search Engine Optimization Services , get quality traffic and increase rankings now!